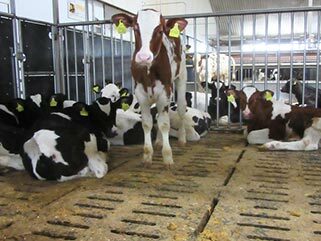 The Efings, Bocholt, Germany, manage a calf fattening farm with approx. 2,000 feeding places. The calves are kept in fully slatted pens. In 2011, 950 feeding places were covered with KURA S. Since 2016 some of the pens have been equipped with the curved KURA SB mat. 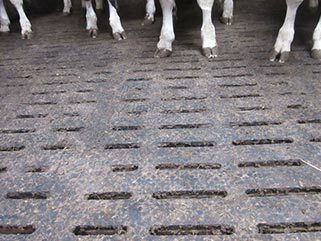 "The KURA SB mats lie very well on the slatted floor. Although we have already been very happy with KURA S, the cleanliness of the animals has improved further on KURA SB. All in all the mats seem drier and cleaner. 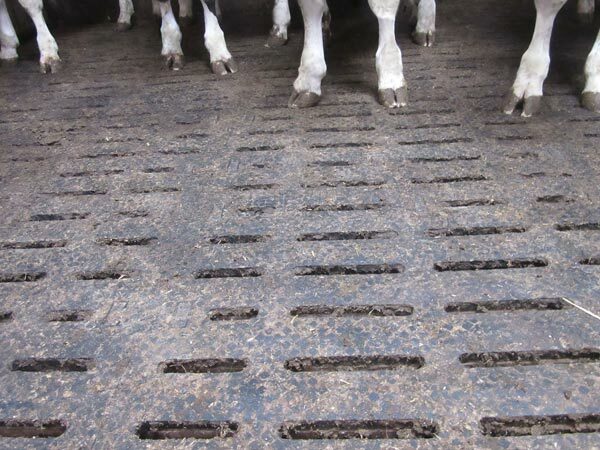 Furthermore the calves have a good surefootedness due to the special surface and the sinking in of the claws."